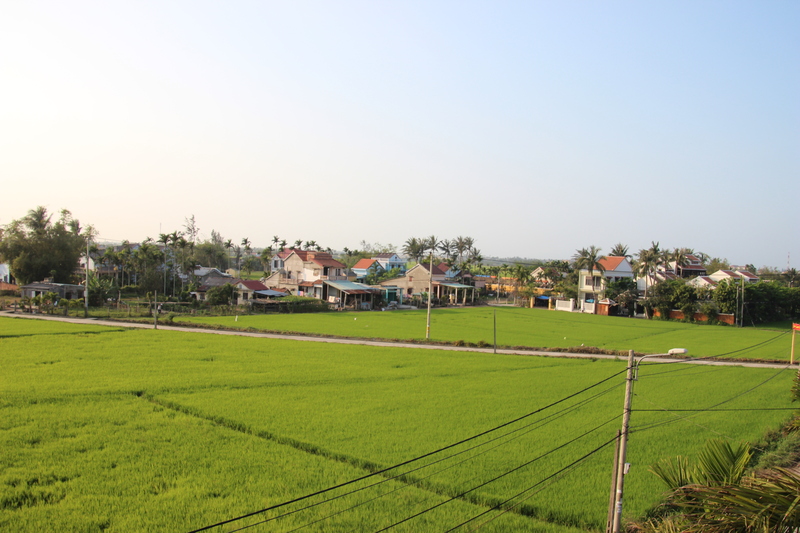 As we drove the 30Kms from Danang train station towards Hoi An, the heavens opened. The most rain we’d seen in, oh, at least 6 months or so, suddenly exploded from the darkening sky above and battered down on the roof of the car. 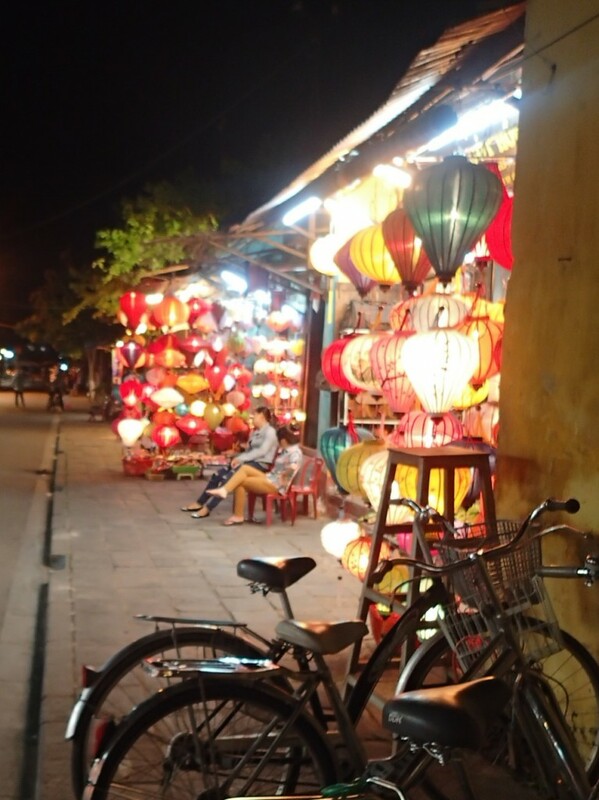 ‘Welcome to Hoi An’, chuckled the taxi driver. 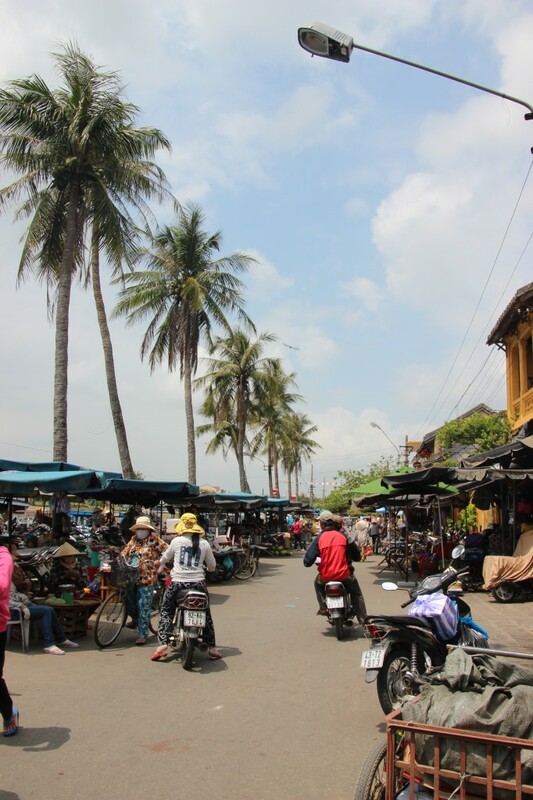 After mizzly and drizzly Northern Vietnam we had been looking forward to being a bit more central, in a part of the country that we hoped would see a bit more sunshine this time of year. It was also to be the first place in about 3 months that we’d stopped at for longer than 3 nights, so we were pretty excited about being able to actually unpack our bags for once. Luckily, in about the time it took us to shake the train dust from our backpacks and hang up a few bits in the wardrobe the rain seemed to have stopped, and we could venture out (in that brilliant wet road smell that made me slightly homesick for England) and explore a gently dripping Hoi An. 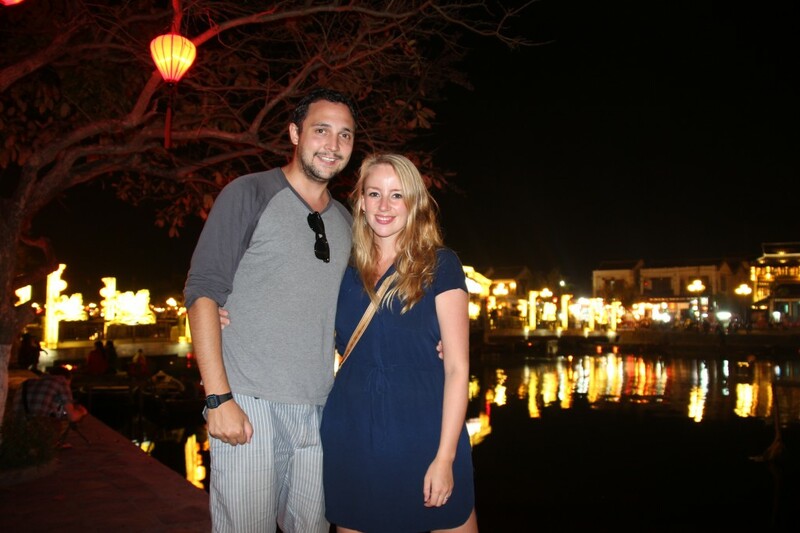 We had been told by loads of people we met that we’d love Hoi An. Most people seemed to describe it as ‘really touristy, but lovely anyway’, and it definitely lived up to that particular description. 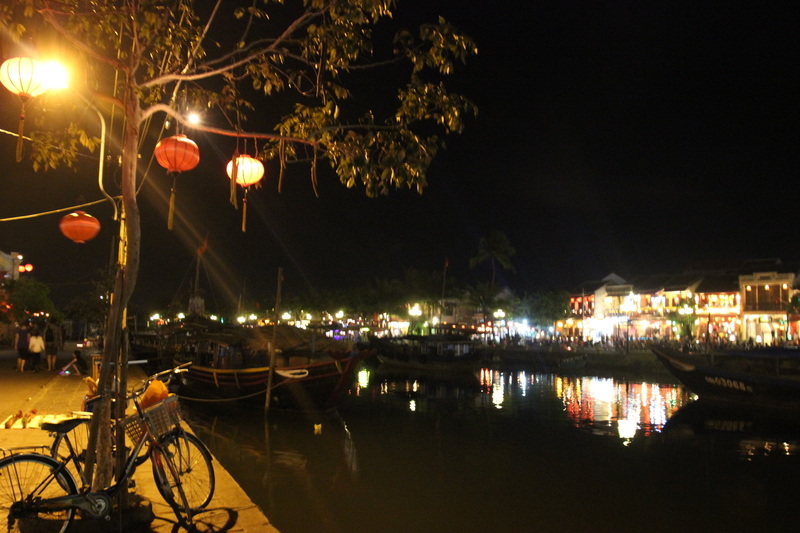 It may have been the fact that it did really seem like a break for us, spending 5 nights in comfort and in the same place for once, but we really loved Hoi An. 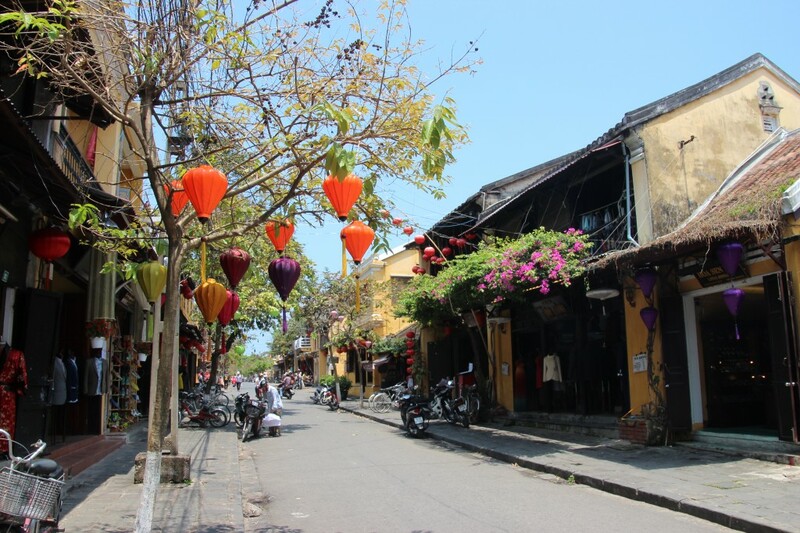 The heart of the town is a maze of narrow streets full of historic architecture that both showcases Hoi An’s heritage as a central port town, but is also now rather charmingly decked out as a cultural tourist hub. Shop fronts, market stalls and restaurants alike are strewn with colourful strings of silk lanterns, the walls are literally dripping with bougainvillea, and bicycles are propped up on every pavement. 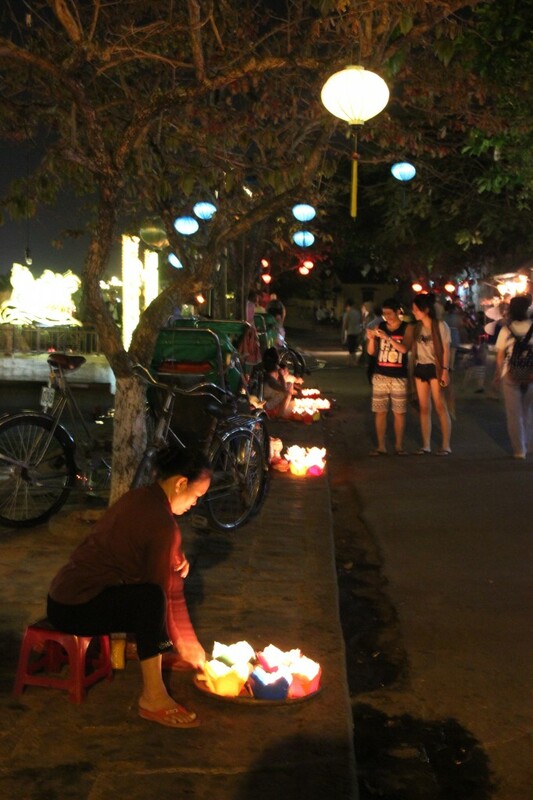 As night falls the scene is cranked up a notch – the lanterns are lit, piano music is piped throughout speakers around the lanes and candles are set afloat along the river. For a couple of hours every evening the riverside square and the ornate bridge joining the two banks become nearly impassable, with crowds of tourists jostling to take pictures and street sellers touting everything from pop-up cards to peanuts. We decided on the first evening that at this point the only sensible thing to do would be retire to one of the many riverside bars and watch the action whilst enjoying some ‘Happy Hour’ fresh beers (when they’re only 14p AND buy one get one free, resistance really is futile). It turned out to be an excellent tradition. 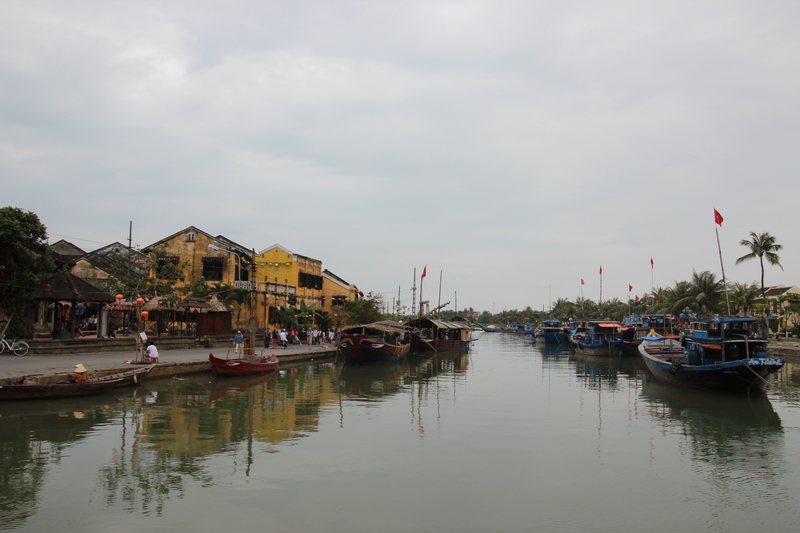 Hoi An is famous for its silk production and its tailor shops. 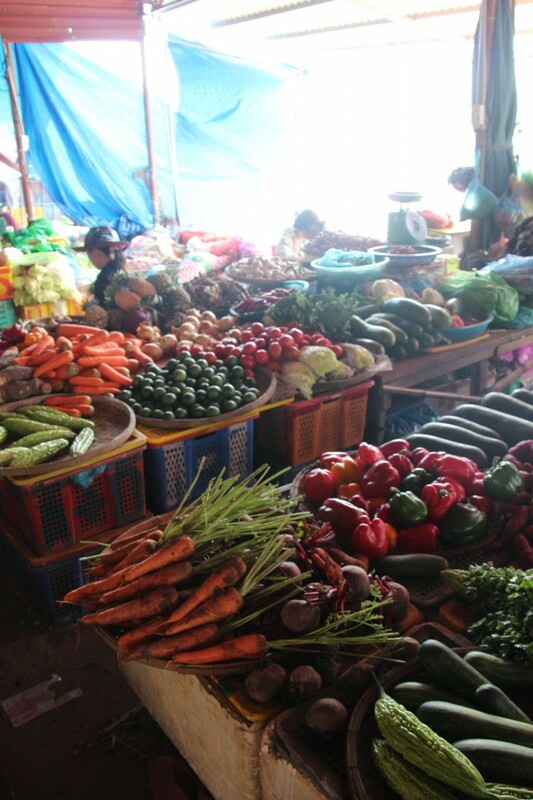 Being there for 5 nights, we had more than enough time to take advantage of the bargainous deals and get some tailor-made shopping done. For the price of about half a decent suit in the UK, Nick had a suit, spare trousers and four shirts made, and we each had a winter overcoat. It felt incredibly weird to be trying on a winter coat with flip flops on. The shop even got the post office round (she turned up on a motorbike) to package it up and send it home for us. Brilliant system! 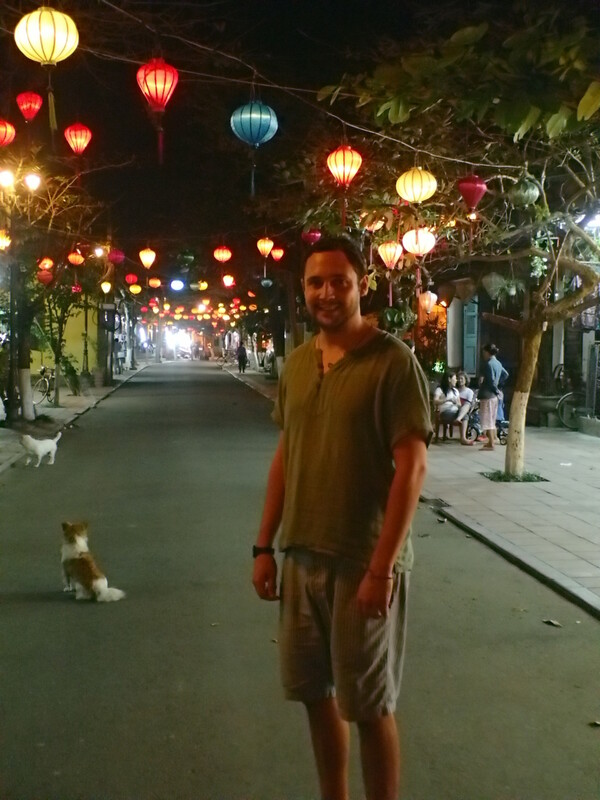 As well as the trips to the tailor shop and round the market (dangerously tempting, our rucksacks are going to be seriously heavy for the next couple of weeks), we spent most of our time being flaneurs and getting lost down the little alleys. I must also admit that we ate rather a lot of food, but as most of it was in the form of Pho (Vietnamese noodle soup) and papaya salad, it wasn’t too bad (until we washed it down with gallons of fresh beer every evening). To be honest, we had a bit of a dilemma in Hoi An, in the sense that whilst we did feel like we were there for a ‘restful holiday’ before our trek starts in a week, we also needed to make sure that we were actually fit enough to make it up the mountain! We went some way to combatting our gastronomic indulgences by forcing ourselves to walk lots. Luckily, our hotel was well placed for this, at roughly 3.5km out of town and 1.5km from the beach. Every day we tried to walk either in to town and back twice, or to the beach and then in to town. This system worked quite well, as long as we got the timing right. The weather had vastly improved since we had arrived and was even verging on being too hot – great for sitting riverside with a beer but not so good for walking into town. The beach itself was quite narrow and not that much to look at, but it was worth a visit, especially in the morning when the breeze was up slightly. The road there was through much more rural land – lots of farms and paddy fields – quite a contrast even to relatively peaceful Hoi An town. 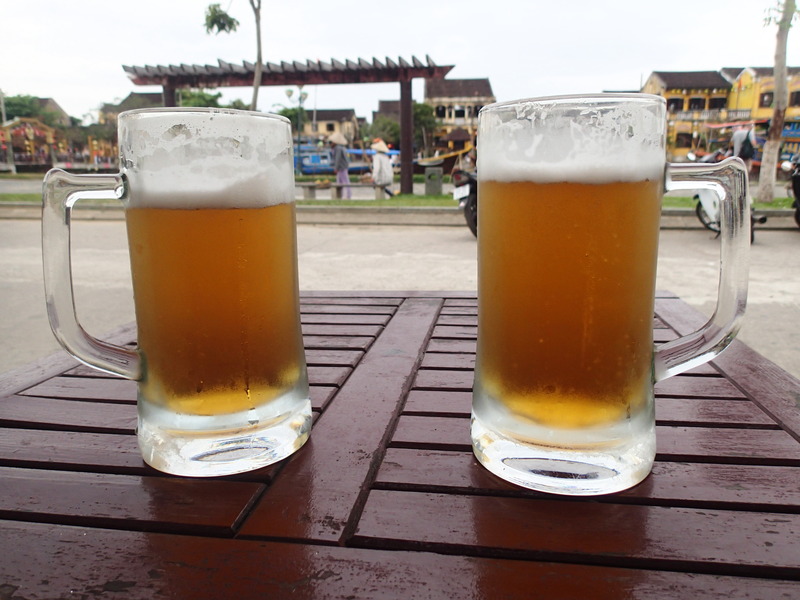 Our other favourite pastime whilst in Hoi An, and maybe we shouldn’t admit this, or maybe we should blame it on the beers that we were undoubtedly drinking at the time, was to make up Haikus. This was a tradition started back in Sydney by the Stuarts (and maybe a few years before that by some Japanese Samurai, who knows?) and we thought it’d be a good way of capturing some of the places that we’ve been to. (Disclaimer: apologies for the foul language… I’m not sure the ancient Japanese would have approved). They say it’s ten hours. 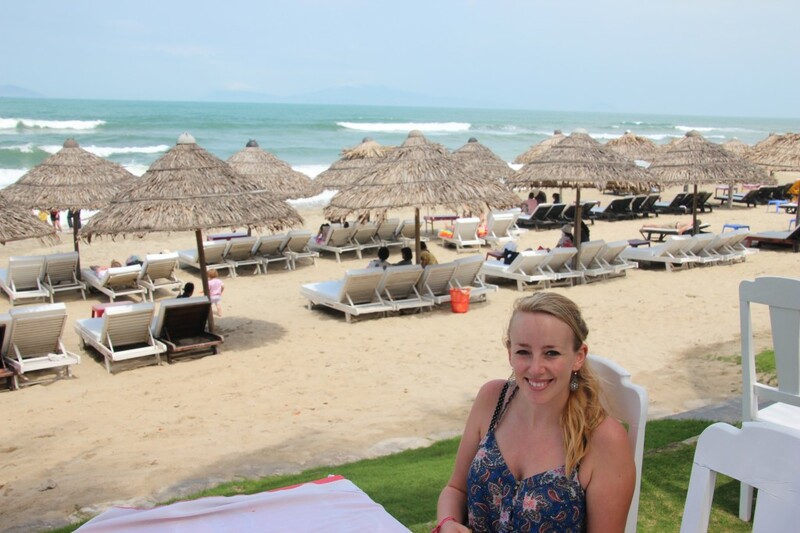 NEXT TIME: ‘Dobroye utro!’ Nha Trang. BREAKING BAD UPDATE: Series 5, Episode 1. This is getting serious now.